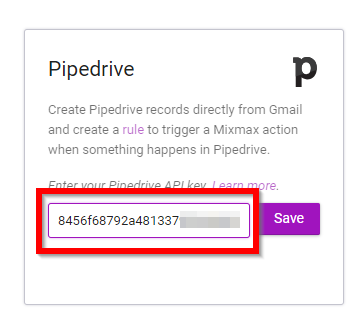 You have two options for connecting Mixmax to Pipedrive: Connect directly to Pipedrive using Pipedrive API, or automatically BCC Pipedrive each time you send an email. 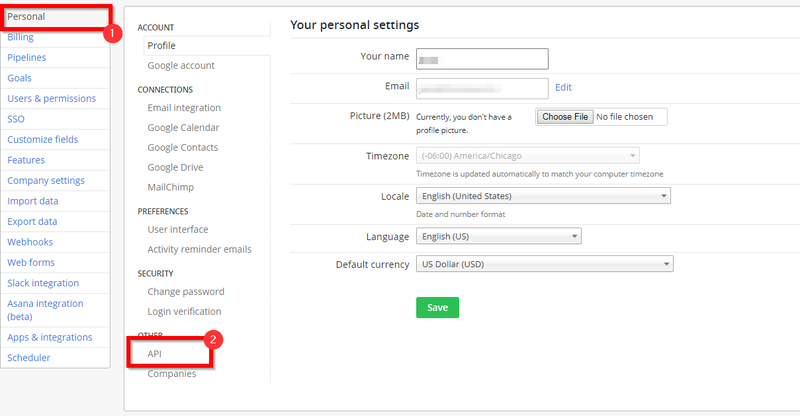 To find the auto-Bcc address for your Pipedrive account, check out this support article from Pipedrive. On the Growth plan and above you can connect directly to the Pipedrive API. This integration is for logging Mixmax events to Pipedrive, like email opens, clicks, downloads, replies, etc. It is important to note that this is separate from the automation functions provided by our Pipedrive Rules feature, which is only available on the Enterprise plan. 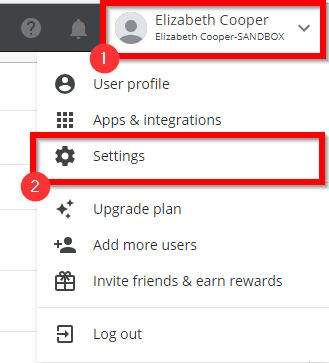 To connect to Pipedrive API Log in to your account, click your name in the top right corner, and select Settings. Click the Save button and you're all set! 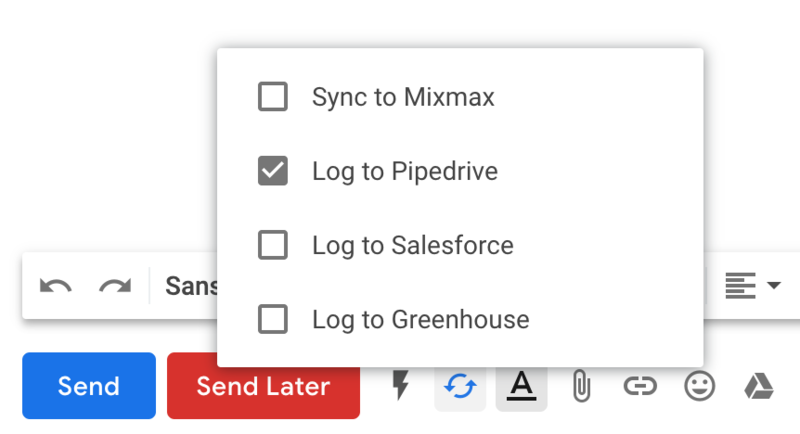 Once your connection is established, you can choose what events get logged to Pipedrive by following the steps outlined in our Syncing to Pipedrive article. 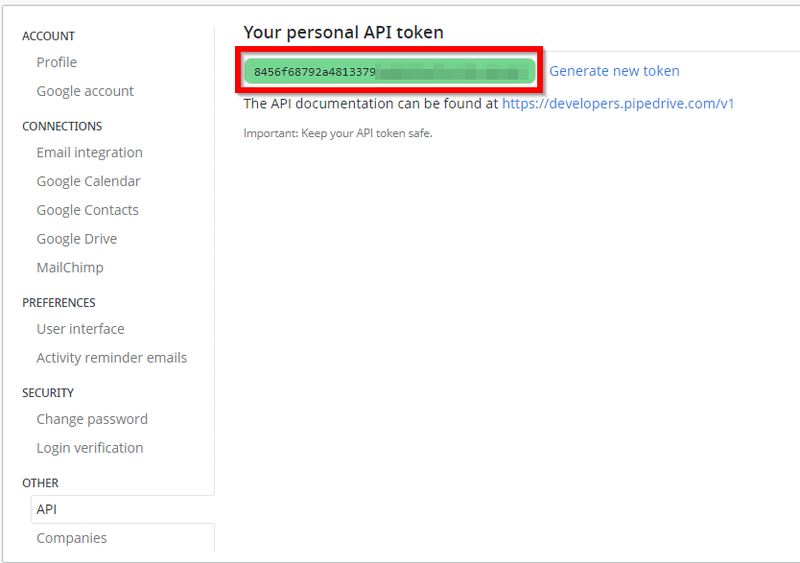 Note: if you are unable to find your API token using the steps above, you may need to contact your Pipedrive admin.